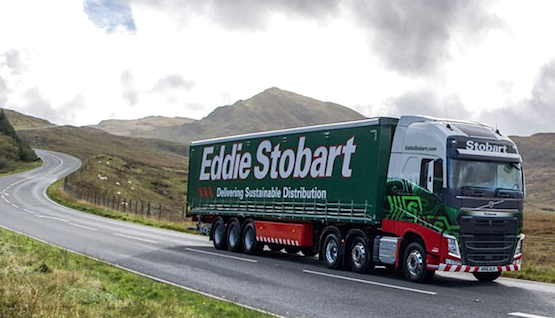 Warrington-based Eddie Stobart Logistics plc said on Friday its revenues for the financial year grew 35% to approximately £843 million, ahead of market expectations. In a trading update for the financial year ended November 30, 2018, Eddie Stobart said revenues excluding contributions from its acquired subsidiaries — iForce, Speedy Freight and The Pallet Network (TPN) — increased by 18%. “This reflects significant and broad-based growth across all our sectors with £162m of new contract wins during the year, organic growth within the existing customer base and continuing strong performance by our acquired subsidiaries,” said Eddie Stobart. “TPN, which was purchased on 29 June 2018, has made a notable contribution to our strategy of building a more resilient network and has traded in line with expectations. “We continue to invest in our transport operations, warehousing network and technology to support our future growth plans. “Net debt as at period end was approximately £154m (2017: £109.5m), reflecting working capital investment required to support the significant levels of sales increase and the additional debt associated with the purchase of TPN. “As anticipated, margins improved in the second half following costs incurred in the first half in implementing these major new customer contracts. The group’s audited results for the year will be released on March 28.